Imagine a rolling landscape of towering, pristine castles almost as far as your eyes can see. It sounds breathtaking — and it is — just probably not in the way you'd think. 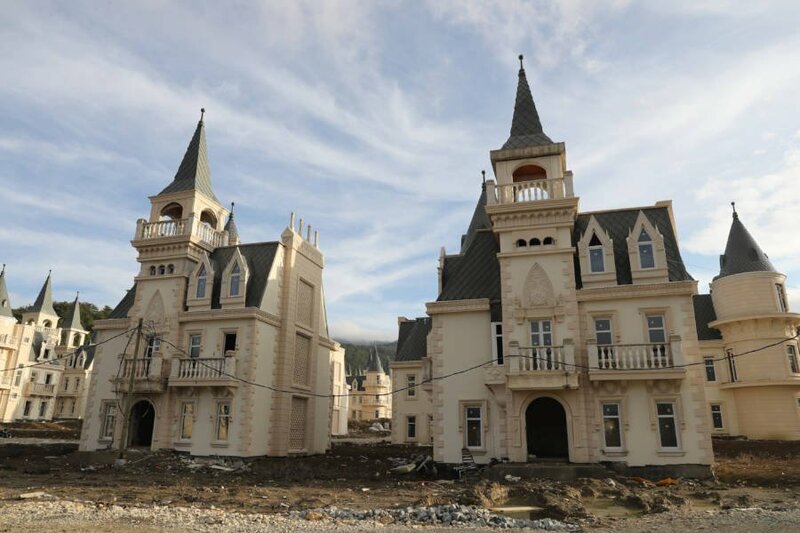 These Disney-esque villas are in a Turkish housing development called Burj al Babas, and it's completely abandoned. 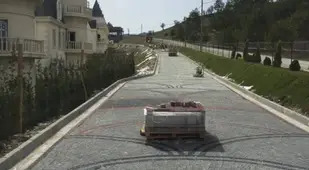 Drone footage of the abandoned villas of Burj al Babas. 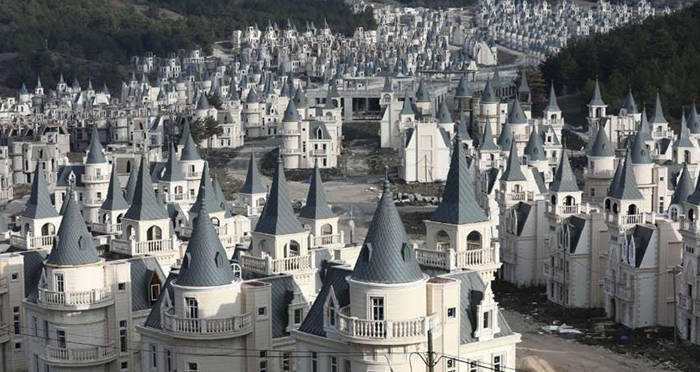 Located approximately halfway between Istanbul and Ankara, the empty town consists of hundreds of almost identical castles in various states of completion. 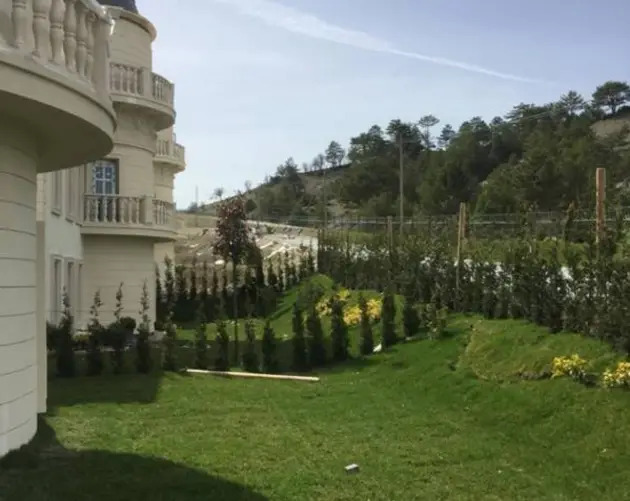 Developers meant for these uniform villas to be luxury vacation homes for wealthy tourists when they began construction in 2014. 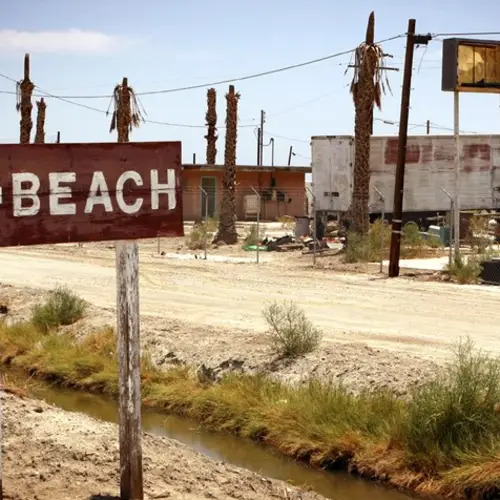 However, when the company went bankrupt in 2018, investors pulled out of the deal which put construction on hold. The development cost a cool $200 million to build thus far. 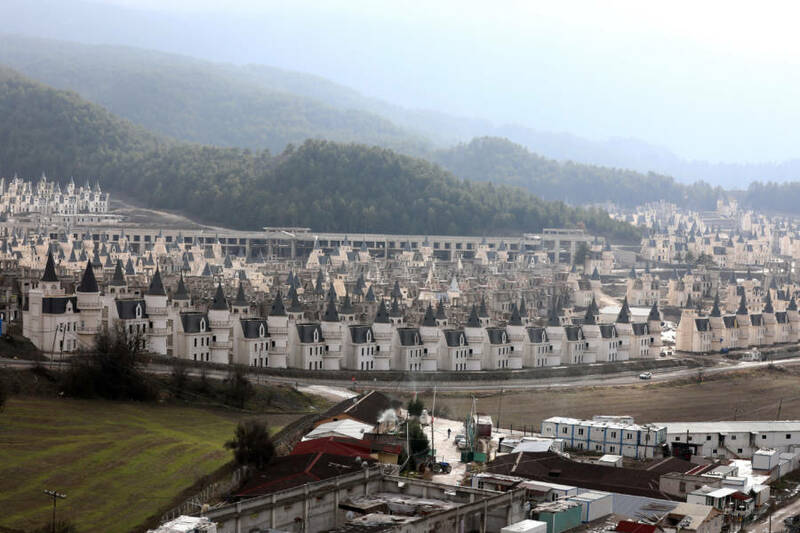 But instead of a grandiose, multi-million dollar retreat, Burj al Babas has become something out of a dystopian novel. The French chateaux-style castle exteriors are styled with ornate facades, Juliet balconies and round turrets which adorn them. But inside are half-finished rooms. Some look as though workers dropped their tools mid-job and walked out. This lends itself to the eerie feeling one might get from gazing upon a fleet of homes with nary a soul in sight. Workers completed 587 of Burj Al Babas' 732 planned buildings. There were also plans to build movie theaters, sports facilities, and Turkish baths. 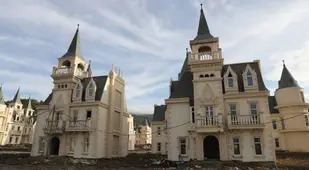 The castles originally came with a $400,000 to $500,000 price tag, and a handful actually did sell. 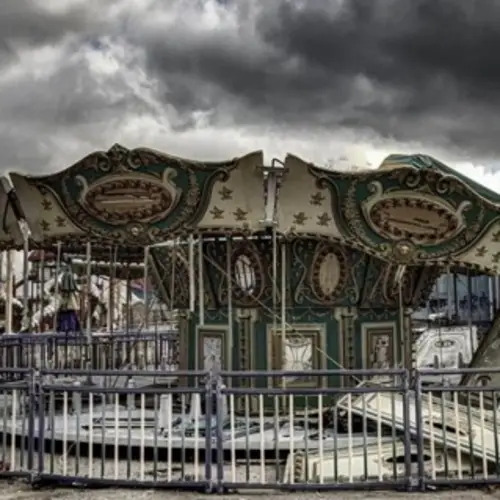 But with the uncertain future of the project, some of the sales had to be canceled. 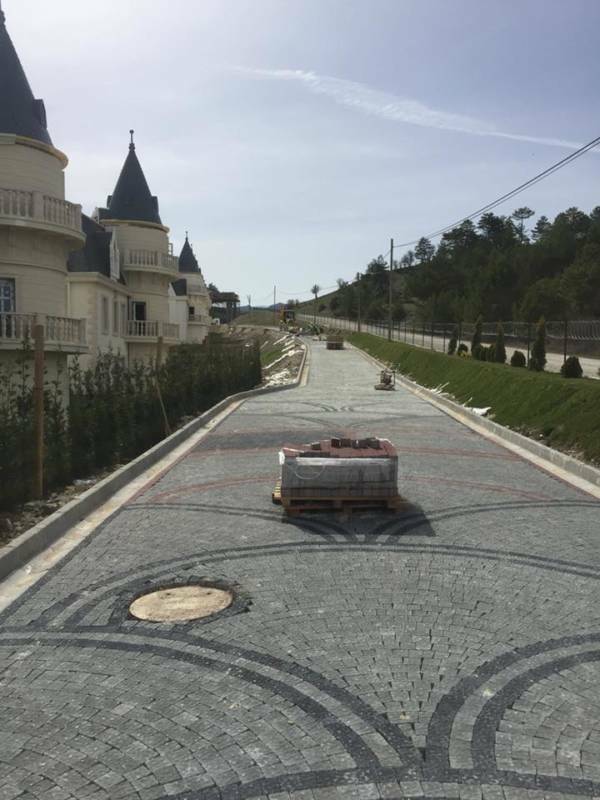 The hefty construction project was heavily endorsed by the president of Turkey, Recep Tayyip Erdoğan. He believed the infrastructure jobs and real estate sales would be a boon to the country's economy. However, the weakened Turkish lira is making it extremely difficult for businesses to repay the foreign debts accumulated to finance large construction projects. In 2018, Turkey relaxed the financial criteria for foreigners to become citizens. 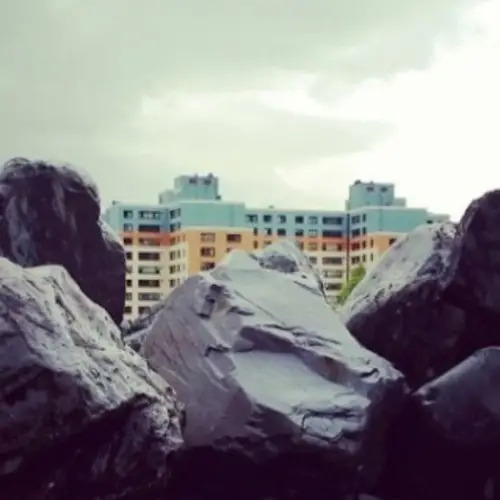 The move is hoped to double the country's annual property investments. As for Burj al Babas, all hope for the picaresque luxury community is not lost — at least not yet. 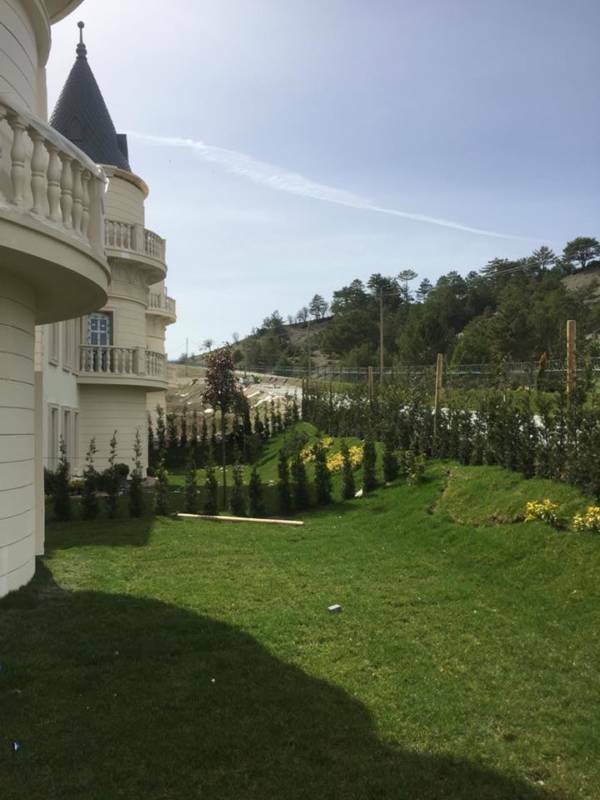 "We only need to sell 100 villas to pay off our debt," said Mezher Yerdelen, deputy chair of the Sarot Property Group. "I believe we can get over this crisis in four to five months and partially inaugurate the project in 2019." 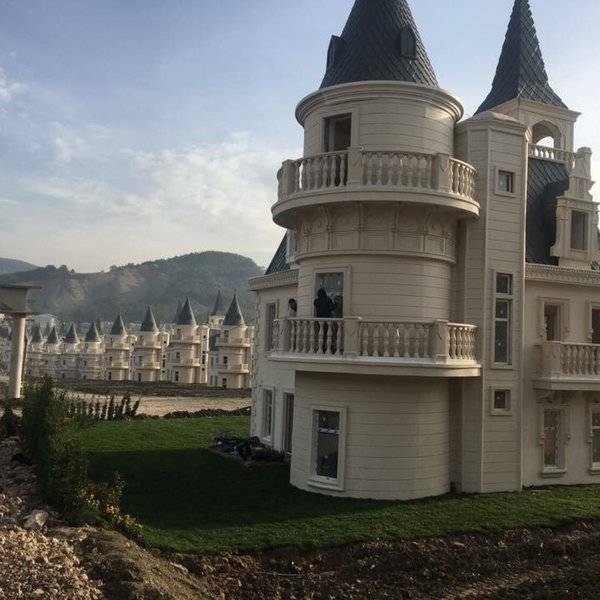 In the meantime, these gothically beautiful castles sit in the rolling hills of Turkey, like elegant ladies in waiting. 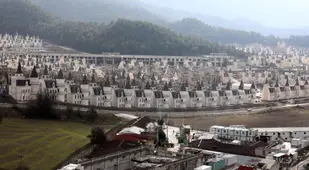 After seeing these haunting photos of Burj Al Babas, peer into Japan's abandoned and secretive Hashima Island, then find out about the 2,000 year-old dirty joke found in an ancient Turkish bathroom.